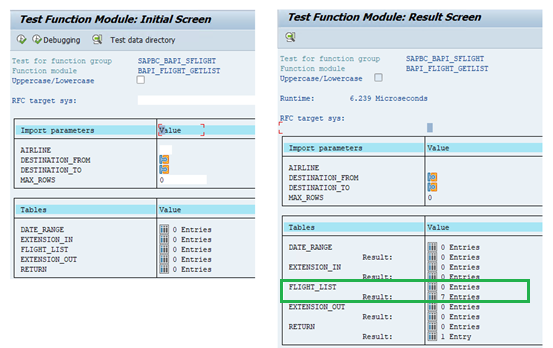 Create a new relational connection with SAP JCo connector with required connection details and test the connection. Export the connection to BO repository. 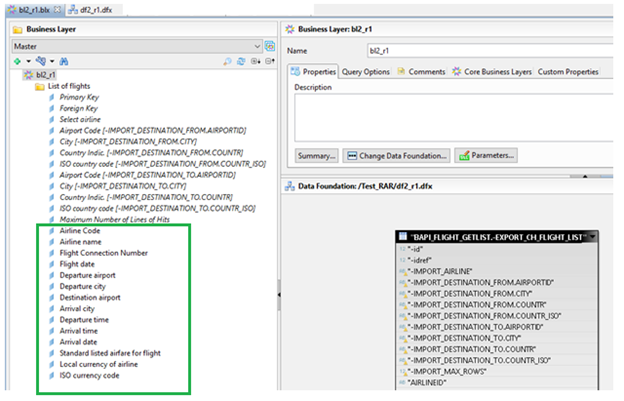 Create a new data foundation layer using the short cut of relational connection created in Step 1. 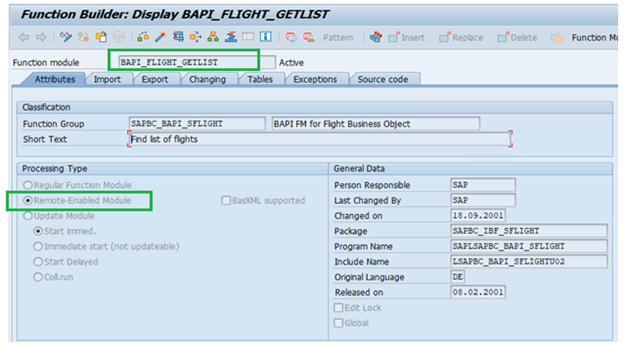 Under ABAP functions select BAPI_FLIGHT_GETLIST.-EXPORT_CH_FLIGHT_LIST. 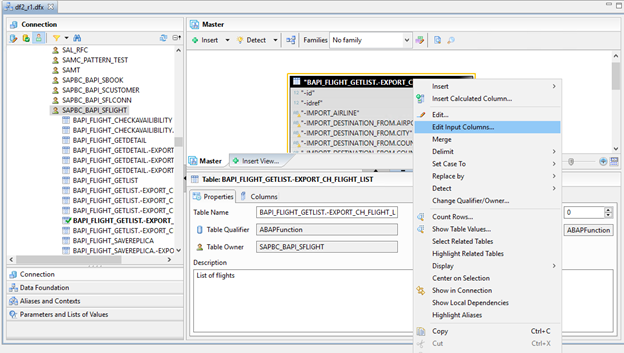 All ABAP function modules will appear as Tables in data foundation layer. In our case we have only optional input columns – so no need to pass any values. Complete these steps and save the data foundation layer. Create Business layer by selection Data foundation layer created in Step 2. Hide objects which are not required for reporting. In our case only highlighted items are enabled for reporting. Export this business layer to repository. Now this will be visible as Universe for BOBJ reporting. We were able to create and run report only in Webi Rich Client – But in BI launch Pad we were not able to create new report or refresh report created and published from rich client. If you get above JCo connector issue contact SAP or give a try with below notes. Nice Blog Shabeer. Please continue to post the interesting Blogs with S/4 HANA.